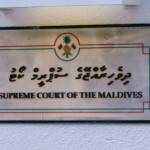 The supreme court has declared itself the final authority to determine the validity of the parliament’s removal of the president, vice president, ministers, judges, the auditor general, prosecutor general and members of independent institutions. 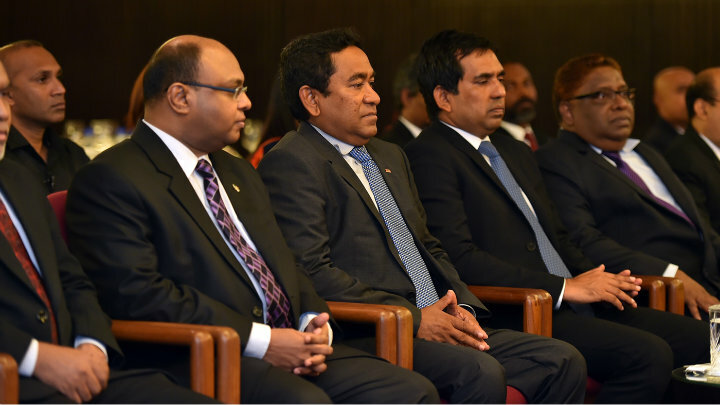 The supreme court has declared itself the final authority to determine the validity of the parliament’s removal of the president, vice president, ministers, judges, auditor general, prosecutor general and members of independent institutions. The legitimacy of no-confidence or impeachment votes will now be subject to a supreme court review. Such votes must also follow due process and stringent impeachment procedures, the court decided. Monday’s judgment came after the Attorney General’s office asked the apex court to establish that the parliament can only dismiss cabinet ministers for committing an impeachable offence. 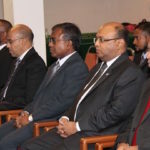 Delivering the unanimous judgment on behalf of the full five-member bench, Chief Justice Abdulla Saeed reportedly said that no-confidence motions cannot be filed for political reasons. No-confidence votes can only be taken with valid grounds or proof of an impeachable offence, he said. Former President Maumoon Abdul Gayoom said in a tweet that unconstitutional decisions should be considered invalid and non-binding. The judgment comes with a new alliance formed between opposition parties and Gayoom seeking to seize the parliament’s majority with defections from the divided ruling party. The parliament is due to reconvene on June 5 after a month-long recess. He also accused the opposition of plotting to bring the state to a standstill. After the alliance sought unsuccessfully to remove Speaker Abdulla Maseeh Mohamed in late March, the Majlis rules were changed to require a minimum of 42 signatures from the 85-member house to submit a no-confidence motion against the speaker or the deputy speaker. 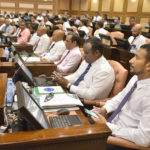 Opposition lawmakers have said the government’s appeal to the supreme court amounts to an admission of President Abdulla Yameen losing the previously unassailable pro-government majority. 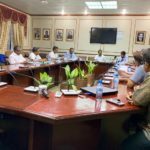 But Nihan, the parliamentary group leader of the Progressive Party of Maldives, said the ruling coalition remains strong with 51 members. The supreme court judgment meanwhile stressed that the constitution must be interpreted in accordance with the principles of separation of powers and checks and balances in a presidential system. The constitution clearly delineates the discretions and responsibilities of the executive, legislature and judiciary to ensure that one branch cannot exert undue influence or infringe on the powers of other branches, it added. The parliament’s “arbitrary” dismissal of cabinet ministers for political reasons compromises separation of powers, the chief justice contended, adding that it is a feature of parliamentary systems. Ministers are directly answerable only to the president, who has the authority to appoint and dismiss them, he said. The removal of ministers without valid grounds would be an obstruction to both the functioning of the state and the rights of the people, he added. No-confidence votes against ministers can only be taken in relation to the responsibilities in the minister’s mandate after carrying out an impeachment process, the judgement states.